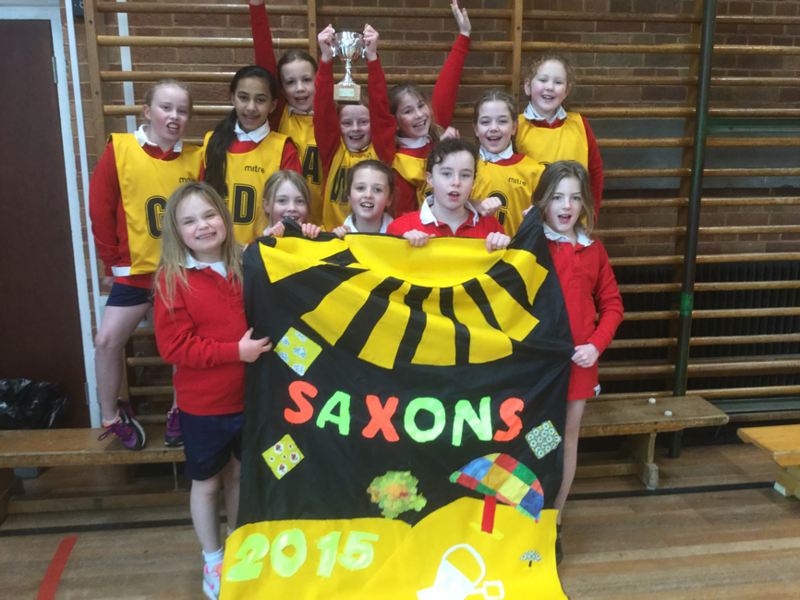 The house matches for netball were played on Monday 22nd February. The sun was shining and the girls turned up in their house colours ready to play for the prestigious year five house netball cup. There was two squads in each house an A and a B . The girls that weren't playing were energetic cheerleaders and I noticed the Normans were particularly loud and supportive. The girls all played well. I was impressed with their knowledge of positions and their overall understanding. There wasn't a high number of goals so that's an area to work on - our shooting skills! The Saxons all played well with our superb umpire Mrs. Callow. Both squads won many of their matches which led to overall victory. Netball club will continue in Thursday lunch time. Well played . A superb afternoon of sport.